My latest op-ed, title above, appeared in Wednesday’s Virginian-Pilot. I generally don’t talk about national politics in my columns, but having written about the shooting of Rep. Gabrielle Giffords last January, I thought it appropriate to write about the effect that her return to the House seemed, at least to me, to have had on those there and most of those watching. 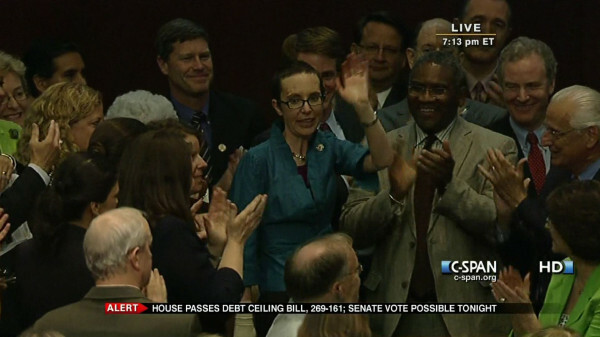 Giffords return to the House was a moment of triumph. I have no doubt that the reason her colleagues welcomed her so warmly is that they all knew that it could have been any one of them in the same position. There was a camaraderie demonstrated there not often seen in today’s political environment. It certainly was a moment of inspiration. For the few who somehow didn’t get it, all I can say is I hope you enjoy your perfect lives and the perfect world in which only you occupy. Previous Post So you think you could be an editor? Next Post More Dem candidates at the Beach?